WELCOME to Mystic Quarry’s first quarterly newsletter. First and foremost, we’d like to thank everyone who stayed with us during our first year in Canyon Lake. 2017 at Mystic Quarry has exceeded our expectations in every way. This may sound like a bit over the top, but we could not ask for a better group of vacationers – playful concert goers, fun-loving family reunions, rollicking river tubers, bubbly girl groups, exuberant kids and their parents, plus the quiet introspective travelers. We love you all because Mystic Quarry comes alive through your eyes. Select the image to read the remaining content. If you haven’t already experienced “glamping” in one of our authentic replica tipis – now is the time! 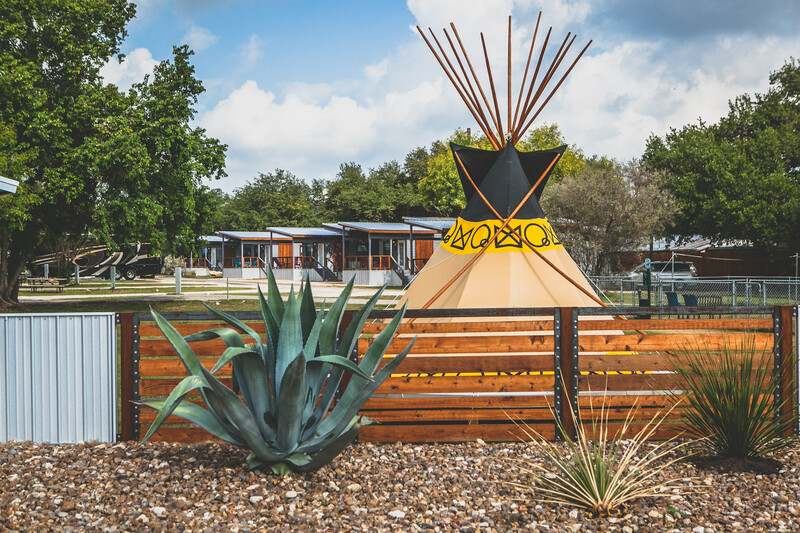 The MQ tipis now have their very own bathhouse, private propane fire pits, electric fireplace inside, and still boast the mini-frig and flat screen TVs. 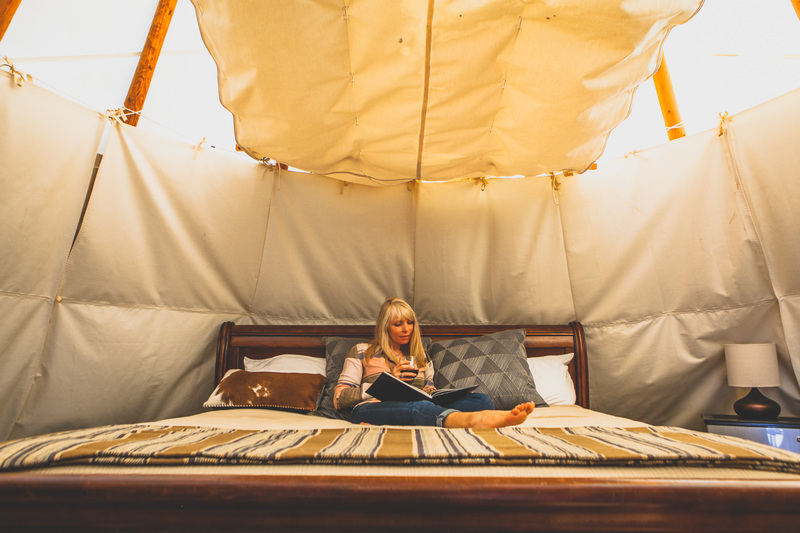 Use your next anniversary, birthday or special occasion as the perfect excuse to get-away for a few days in a tipi! 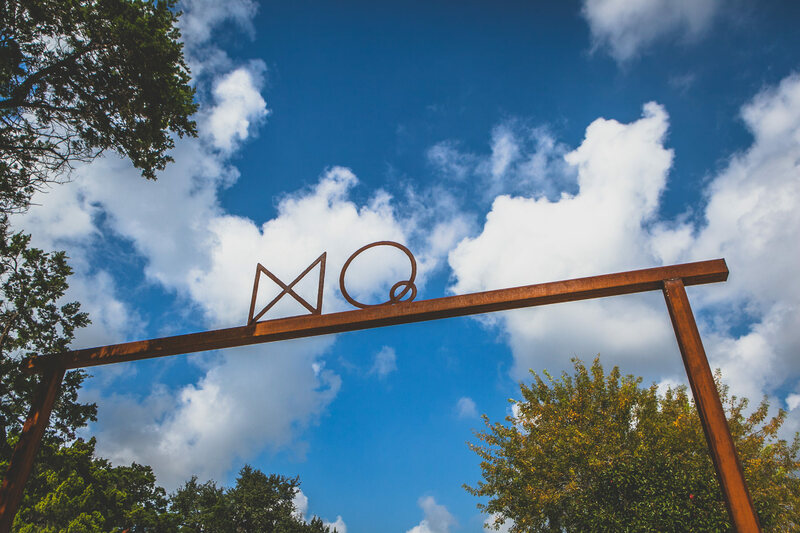 Mystic Quarry is looking forward to welcoming Winter Texans who like to spend the coldest months of the year in sunny Texas with friends. We have great winter rates for Tiny Houses and RV sites for those that wish to stay a few months or more. Get ready for on-site socials, group excursions to nearby attractions, as well as game and movie nights to keep the party going. We can’t wait to make new friends and create memories with our beloved Winter Texans! It doesn’t end there. Mystic Quarry has a few new ideas that will take shape over the winter and increase the “cool vibe” that so many have come to expect. We are adding peaceful rest areas along our nature trail – spend time catching your breath or practicing purposeful meditation under a canopy of trees. For another form of relaxation, take a few moments to savor the organic garden coming soon – we invite everyone to get some dirt on their hands and say howdy to mother nature. If that’s not enough, how about a tranquil pool of water reflecting a rocky crag in our primitive camping oasis? Our nature trail will soon feature a 5500 sqft pond for the enjoyment of all – fish included. Thank you again for making our dreams a reality. Mystic Quarry is more than just a place to stay, its where we de-stress, let loose, and reconnect to our happy selves. Come get happy soon! 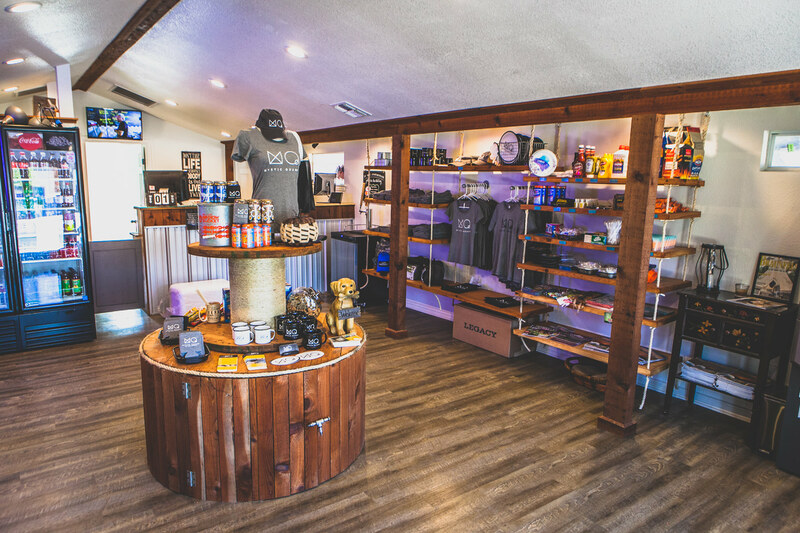 Check out our newly renovated store. We now offer beer and wine in our general store and even have Happy Hour every Friday from 5 pm to 7 pm. Come join us! Places of importance that touched Jim and Courtney along their life's journey. We have added our new, custom ozan design that allows our guests to pull it back and see out the skylight or pull it forward in case of rain - we no longer need to cover the base of the beds with a tarp. The custom ozan design makes it much easier for our guests to make adjustments during their stay. We also have added new chairs, an electronic fireplace and heaters for the cooler temperatures.